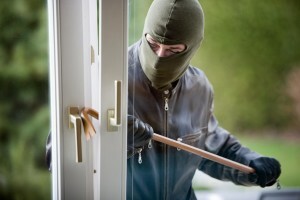 Keep burglars out of your home by using these affective and affordable security systems! People are taking the help of advance technology to provide protection to their house and loved ones. Security systems are designed by using modern technology which will keep an eye on your house when you're gone. Keeping your hard-earned possessions safe and your family safer is what Cheap Burglar Alarms aims to do. Although security systems used to be only a luxury of the wealthy, there are now affordable options out on the market. With recent technology improvements, affordable burglar alarms are more affordable, accessible, and practical than ever! Many people do not have the financial ability to pay security guards, so alarm systems are the only option to keep an eye on their home when they’re away. Although security guards may be a more formidable form of security, it is proven that a well-installed security system will offer a higher level of safety and overall discouragement to possible thieves. With modern technology, security systems are extremely powerful and accessible. One trip of the alarm can instantly alert police, and often the sound of an alarm is enough to discourage a criminal. Also, if you have a smartphone, Cheap Burglar Alarms can set up wireless video cameras that can stream to your work computer or cell phone so you can take a look at your home even when you’re gone. Burglar alarms for home are now cheap & affordable! If you’re interested in receiving a quote for our cheap burglar alarm system installation, please give us a call or fill out the quote form! Our representatives are standing by.